I could not wait to open the box and find this...Mikasa "Floral Elegance" bone china! Oh my goodness, I cannot tell you how beautiful this pattern is in person! You will be seeing it this coming week, and probably every week for a while! GORGEOUS Anita!! 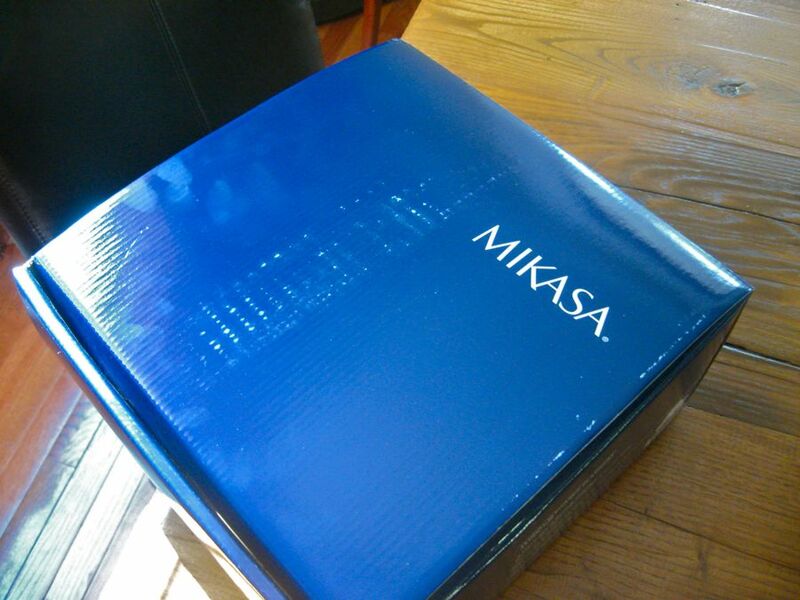 Watch for a post next week from me that will include a few elements that may interest you, namely...Mikasa, Platinum AND a GIVEAWAY!! That's beautiful, Anita. So elegant. Hope you have a great weekend. Anita, it is just stunning! That is gorgeous! I can't wait to see what you do with it! Beautiful!!! Can't wait to see your tablescape. 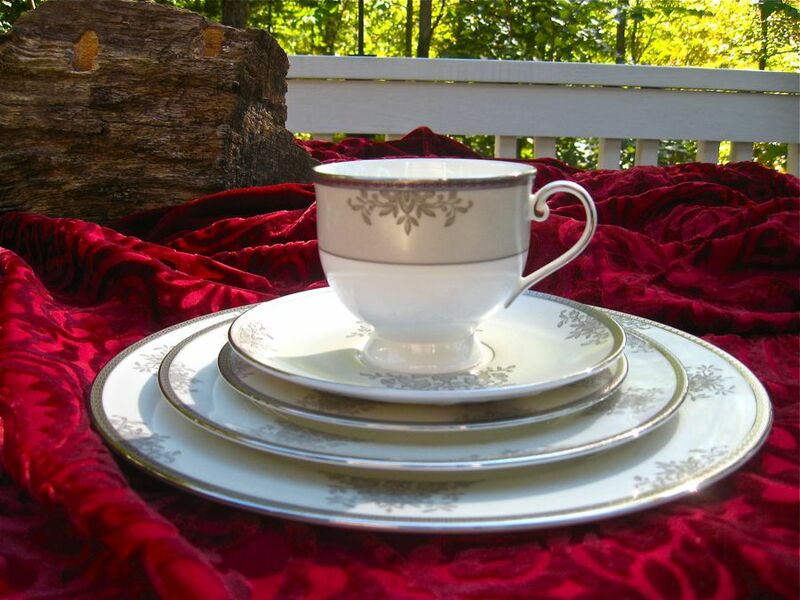 Beautiful China -- we'll enjoy seeing it set upon your table. Gorgeous!! I can't wait to see your tablescape with it. I need (OK... I WANT) a set of formal dishes that is beautiful like that but not as color specific as mine is. That one is beautiful, and in the right two hands to use it well. This is beyond words beautiful! I know something amazing is in the works! Cant wait!!! Beautiful, I love this patter! Can't wait to see your table! Have a great weekend. Sooooo pretty,can't wait to see your tablescapes,whoohoo! All your taste is just elegant and beautiful. We recently had death in family and helping with hospitality can take on many forms and comfort. I often think of helping others can be those in our own circles in need of encouragement otherwise. Your posts I have been in my thoughts lately.I can offer meals when little else I feel I could be of help.Wanted to say also I ordered settings of 8 Italian Countryside. It looks so versatile and elegant. Thank you for such a wonderful home and inspirational blog. Emelia.PS your new dishes are just gorgeous! Beautiful! I'm looking forward to seeing it in use in your home. It will set up very well in a serene winter tablescape with lots of crystal and shine, but I'm sure you'll impress us with a fantastic setting that I would not have thought of. You have such wonderful taste, and obiviously, so does your husband. You new china is wonderful. I love it. Great choice. 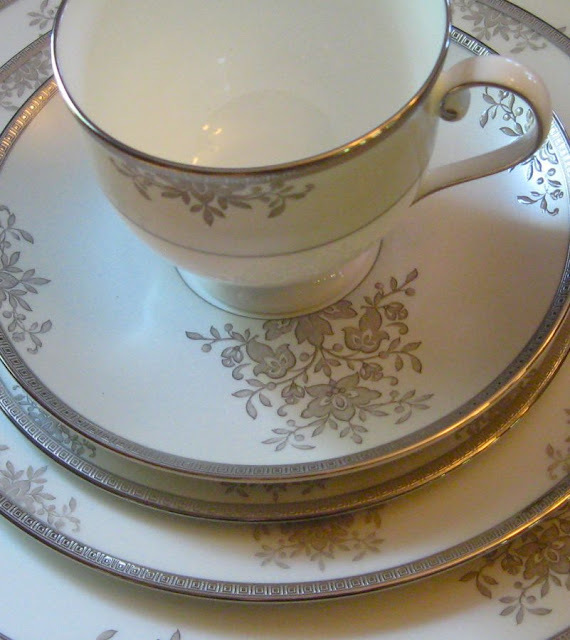 I picked out a gray and white lenox when we got married and have never regretted that decision. I can't wait to see the beautiful tables you will set with this. Congratulations!!! Congratulations....This is a classic an elegant pattern! Oh these dishes are beautiful... what a fun package to arrive! I love it that your husband enjoys your passion for tablescaping and for hospitality! I'll look forward to seeing the dish set in upcoming posts! Your "pear" settings were beautiful!